No one ever thought that Tesla would become the bestselling luxury carmaker in the United States – but it has proved its critics wrong once again with its latest Model 3 car which has been named as the number 1 large luxury car in the country. Surprised? 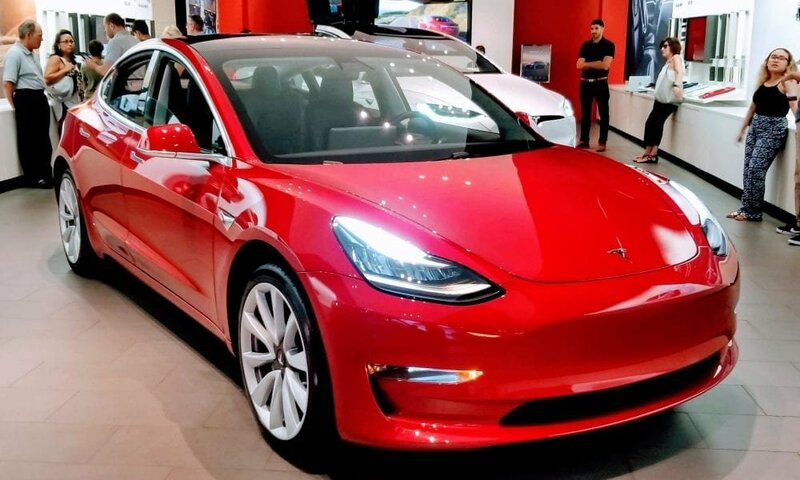 Model 3 cars were never meant to be sold under the luxury tag, instead the company had been advertising it as a ‘mass-market car’ which a starting price of just $35,000 unlike its predecessors Model S and Model X, both of which carry a six-figure price tag. So how can a mass-market vehicle steal the title of bestselling car in the US? The truth is that Model 3 is not as cheap as its manufacturer is claiming it to be. Sure, the base model costs just $35,000, but that doesn’t come with a ‘standard battery’ and will only hit the market in three to six months. The Model 3s cars that are currently available on the market all come with long-range batteries with prices starting from $49,000 – now that’s a sharp increase from the $35,000 price tag. But why stop at the long range battery? There are plenty of ‘extras’ customers can add to their Model 3s cars including a dual motor all-wheel drive which costs an additional $6,000. The autopilot feature, custom wheels and paint are all ‘premium’ options which cost extra. With all the additional features and customization, it’s safe to say that Model 3s is not exactly a mass-market car. But the fact that Model 3 is considerably more expensive than Tesla intended it to be isn’t necessarily a bad thing for the company. It’s no secret that luxury cars are more profitable than the mass-market variety which means that automaker will earn higher revenues than expected by selling the car under the luxury tag. This is especially important since Tesla has faced serious cash shortage in the past due to its unprofitability. By selling more Model 3s cars, it could avoid a cash crunch and eventually report its first profitable year ever since its inception in 2003. Even the automotive company’s CEO, Elon Musk has admitted the fact that Model 3s isn’t exactly a mass-market car. While responding to a follower’s tweet, Musk said that the company made a strategic decision to hold out on $35,000 Model 3 distribution for another six months for the sake of profitability. The CEO said that if the base models were to be shipped along with Model 3s cars, Tesla could lose a lot of money and eventually go out of business. Tesla says that the Model 3 is more of a ‘premium sedan’ than a luxury car. But whether the company admits it or not, it’s most recent electric car is in direct competition with other luxury automotive brands in the United States – and it has beat them all by a huge a margin. Cox Automotive’s senior analyst. Rebecca Lindland, says that the company’s performance has been really impressive so far. Not only has it single-handedly dominated the electric car segment, but has also emerged as a fierce competitor in the luxury market. 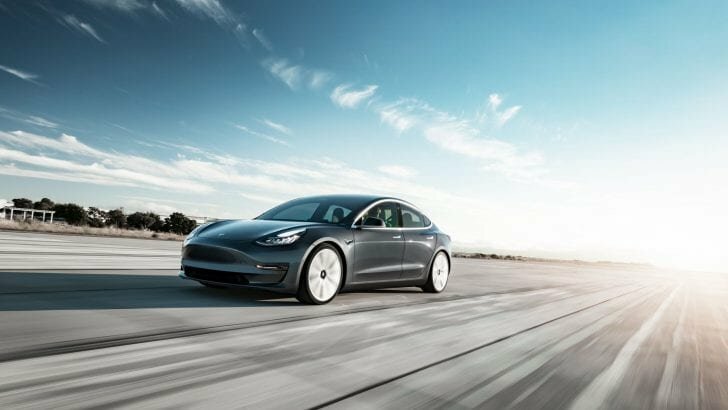 Tesla has sold over 55,000 Model 3s cars in its third quarter, even beating the Audi Q5 which was the next bestseller in the luxury market with over 21,000 sales over the same period. Almost all of the Model 3s cars were sold to American customers, Tesla revealed on Thursday. Tesla’s Model 3 also performed better than GM which wasn’t able to match its competitor’s success even with the combined sales of its Cadillacs and Buicks. 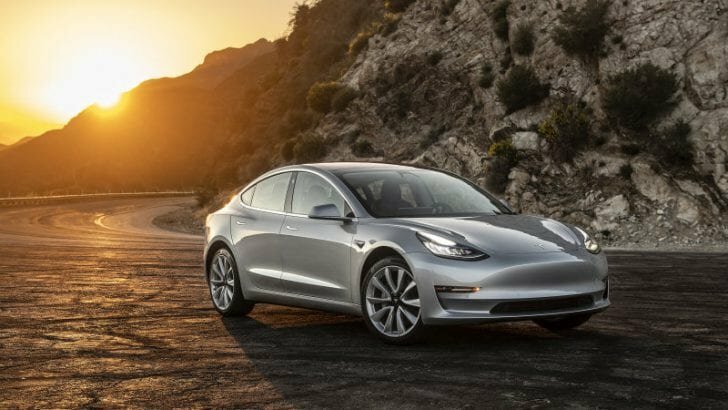 Model 3 also outsold Lexus, Mercedes, Audi and BMW as well as the popular Honda Acura. One of the reasons why Tesla’s recent success has come as a surprise to most is its habit of getting involved in controversies and underdelivering on promises. The company has missed almost all of its production targets in the past, and its CEO, Musk, has had his fair share of troubles with the SEC for stock manipulation. Since the twitter fiasco in August, SEC has issued a $20 million fine against Tesla and asked Musk to step down as chairman of the company.